Making money online is a new buzz in internet era. Onlinework4all is a place to help you earn good income online sitting at home. Here you will get part time jobs ,online jobs,home jobs,Pay per click programs,affiliate program,paid surveys,data entry jobs,paid for blogging,micro jobs,paid for review,freebies,awards and gifts,free softwares and tools and details about scam programs. This is a long weekend around globe.This is a season of festival,season of shopping and time for pondering for coming year.Ok,How many have you tried my programs posted here to earn money?Can you write your comment here?Based on your comment,I will write more secure and genuine earning programs here.This time again ,I am going to highlight importance of social networking website.These websites assist you to promote your products as well as helps in earning money.Have you tried my previous money making programs "Earn money via Twitter".This is also similar to previous one.This is Ad.ly providing you opportunity to earn money via Twitter. What is Ad.ly?This is a website provide platform for advertiser and twitter user.Advertisers provide you task to tweet and in return you will be compensated for your tweeting.You can set your price per tweet.If you are more active twitter,you will get more advertisers. How to join Ad.ly?This is quite simple.Click Ad.ly link here and visit Ad.ly website and fill 1 minute form.That's all. There are two ways you get paid via PayPal or Cheque.You have option to donate your income to charity also. If you have not joined this program till now,join Ad.ly now and start earning money. If you like our post,please subscribe our newsletter and share this post. This is weekend for me and quite relax to write about some new money making programs.Have you heard about "Twitter"?If no,do not worry,this is currently most popular social media around globe.This is fruitful for Webmasters and normal user to connect with friend and chat with them.But moreover you have chance to earn good income via Twitter.Today I am going to high light one among them.This is called Sponsoredtweets . This is one of the highest paying tweet program that I have known .What is an eligibility for this program?There is no proper eligibility criteria but you will get advertisements to tweet only once your twitter account becomes 2 months old and number of followers reach to 100. What is payment structure?The minimum threshold to withdraw is $50.You can reach this amount within 5-10 days since if you set up your tweet charge the lowest.Lower the tweet charge ,higher the tweets to advertise. Home jobs by internet Guru "Paul"
Internet is flooded with opportunities but same applies in reverse case.Therefore you need to know even minute details about any home jobs program without joining.This, what I am doing for my blog reader to provide genuine money making programs.Have you heard industry Internet marketing leader Paul?Paul is my friend and my mentor.He established and earned millions with his Internet technique without investing a single penny. Do you want to get Paul simple and easy technique to earn online $500-$5000 per month?Don't you need to invest a single penny?He is currently teaching this technique free of cost to all.But this is available only for USA,UK,Australia and Canada nationals. What have you to do to start earning?Go to Paul website and fill below forms and submit it. Once you submit your forms,you will get online making programs details and report.This will guide you from beginning to till you start earning.Paul is not charging a single penny for this whereas he will assist you at every step to get your goals. What you need for this?You don't need to be computer genius ,don't need too much time.This is simple easy.This seeks only computer with Internet.That's you have. So ,there is no loss for anyhow.This is only gain-gain situation.Try this and let me know how much have you earned through this program.Visit Paul's Website or click below banner to directly go to Paul website. Have you dedication to write some thing regularly?Are you willing you to earn extra money online ?We are looking for young dedicated writer who can write regularly for us.We will provide you a good platform to start a writing career in part time. What am I looking for?All Indian national can apply for this post.The candidate should be sound in English.He/She should have deep knowledge in grammar and can write good and impressive English.Qualification is no bar.You should have minimum computer and Internet at your home.This is pure home based job.Currently,we look for 5 candidates. What is your job role ?You have to write a new post on required topics in your own words and have to write review on any products assigned to you. 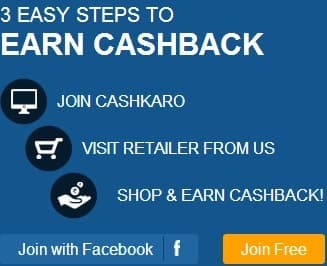 Earning opportunity is open for all bright members.We will provide Rs50 per accepted post and review.You will get paid once your account reaches to Rs500.Payment will be directly transferred to your bank account.There is no earning limitation.If you write 10 accepted post daily ,your monthly earning will be Rs10*50*30=Rs15,000. Candidate having good English writing skill can apply immediately with their resume ,one blog post and one product review post.Interested person can send above documents directly to my email id - rrkjaiswal63@onlinework4all.com . Shortlisted member will be informed via email and phone.All other things will be discussed after selection. Note-We do not accept copy post or review,once I find that you have copied post or review,we will terminate your membership and you will not be paid for your work.Your accepted post or review will be property of onlinework4all.com. This post is quite different than my other post.This is time for recognition.I request you all readers to nominate me for Crunchies awards. What have you to do ? You need to click this badge .A new window will open.Go to Best New StartUp of 2009 category.Enter onlinework4all.com then click nominate button.That's all. I request you to send this link to your friend also to nominate this blog website for crunchies awards. Are you looking for part time jobs?Have you got tired searching part time jobs online?Here,there is solution for this problem.I regularly update genuine part time opportunities.Keep reading new post.This is a one full day part time job requirement .Nichols Research is looking for employed, Hispanic residents of Kern County to participate in a research project regarding Social Issues affecting Kern County.This is open for US national located in Kern county. Incentive is quite handsome.Qualified participants who attend the project will receive $300.00 including breakfast and lunch as a thank you for their time and opinions. 1. What is your age? 2. What is your ethnicity? 3. What is your occupation? 4. When was the last time you participated in a market research study and what was the topic, if any? PLEASE NOTE:I am not responsible for any payment conflict or about your selection for this work.